Azure Database is the PaaS solution for SQL Server databases, on a previous post we have discussed how to create one. On this post, I want to show you how you can secure your Azure SQL Database by creating users and segregating their permissions. When you connect to your Azure Database using SSMS (or another tool), you can see the management options are very limited compared to an On-Premises instance. If you want to create a login and database user, you must create them via T-SQL, on this post I will show you how to do it. 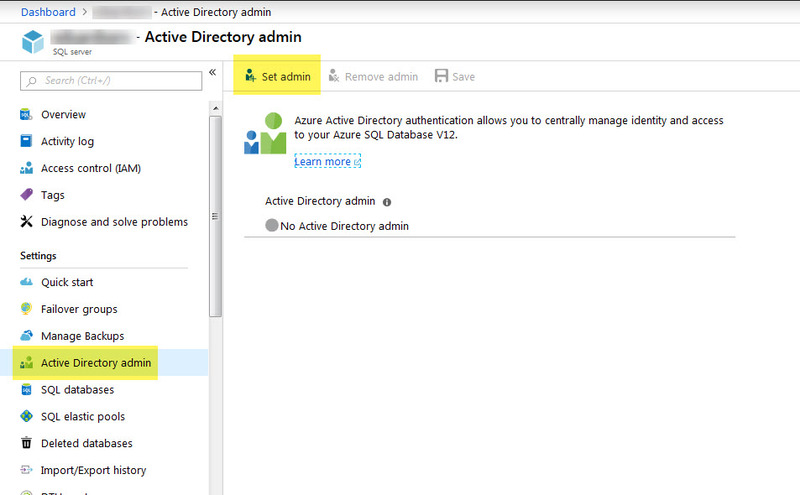 Azure SQL database support two types of logins: SQL Server login and Azure Active directory login. 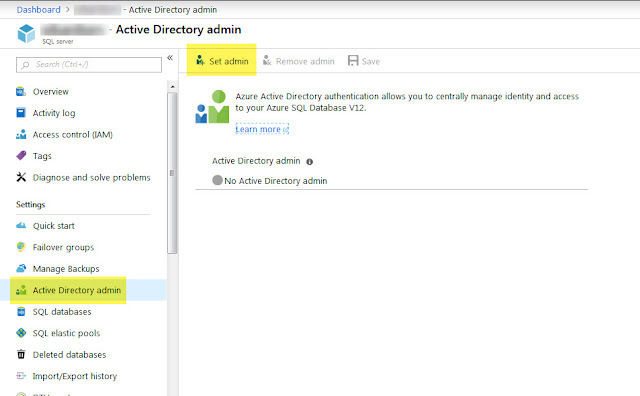 Once you set up your AD Admin, you can connect to the Azure database using this account and you can then assign proper access to other AD accounts. You first need to create the login, and set up your password, following the Azure strong password requirements. 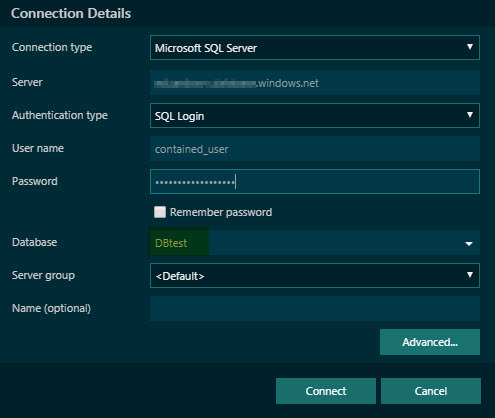 Then, if the user is planning to connect to the instance using SSMS or ADS or another tool where the default database to connect is not required, you must create the user in the master database (without roles, unless required specific access). Next step is to create the user on the database you want to provide the access. Finally, you assign the roles you want for that particular user. For creating logins from Azure Active Directory, the script changes a little, you must create the login connecting to the database using another AD account (the administrator we configurated earlier or another AD user with enough privileges), then you specify the AD account followed by FROM EXTERNAL PROVIDER. There is no change in script 2 to provide access to the user on a specific database. 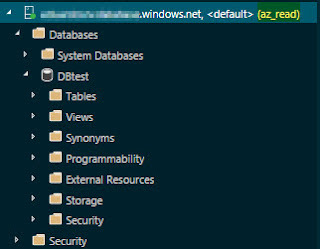 For more secure environments, you can create contained database users, this approach provide you a more portable database, with no need to worry about the logins, this is the recommended way to grant users access to Azure databases. You can read more about this in the Microsoft official documentation here.